thanks for welcoming me to the forum. 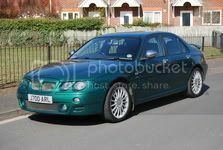 I would like help on a problem that afflicts my MG ZT 2000 CDTi automatic, I feel a vibration on the steering column. This happens with the car is in stop and even turning the steering slightly and also at very low speed and in reverse. I replaced the support below and the one below the battery, but the fault persists. this vibration seems as if the steering column touched the exhaust manifold with the vibration transmission of the engine running. Any idea? Many thanks for your help. bye. 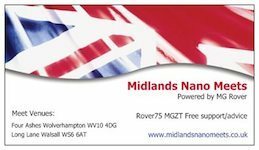 Its a frustrating and annoying problem that a few of us have had the pleasure of and could be many things, if you have changed the lower engine and gearbox mounts you could also try changing the hydromount although when I did it made no difference to mine. It could be engine related are your injectors all in spec ? It is worth checking the column itself in the area where the lever pulls down to adjust the rake of the steering wheel , opposite the lever is a nut which works loose, do not fully tighten else the lever will not work but taking mine up a few turns has helped the problem. Remove the plastic trim from steering wheel by releasing the 2 screws in the lower part of the trim to allow access, the nut is hidden away but is there! Last edited by Trebor on 24 Apr 2018, 08:41, edited 2 times in total. Sadly, you are a victim of Project Drive, as MGR slowly stripped the quality out of these cars, simply to save money! Early diesels were fitted with a vibration dampener on the steering wheel, which was removed on later vehicles. Get yourself on eBay and get one and simply bolt in place and it should solve 90% of the vibrations you are getting! How about taking the steering wheel off, and adding a shim before the steering wheel goes back on and then one under the steering wheel bolt? also check Rimmers out for a steering column, going cheap at the moment. It probably wouldn't be that hard to make a damper. Just a little steel plate from what I saw, though Rimmers show something entirely different that I'v never seen before. It might be worth a phone call to these guys tomorrow, to see if they stock!